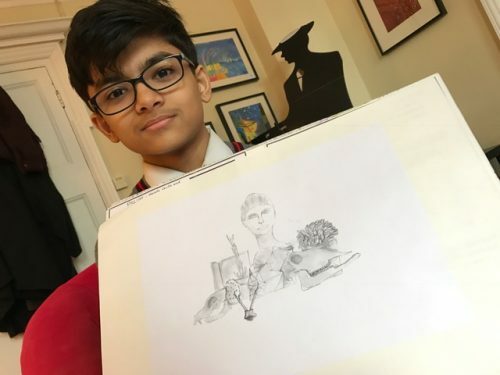 Today I was treated to a visit from Aditya who has been working on still life studies in Art with Mrs Walsh. His arrangement of objects from animal skulls to plants creates real interest but more importantly, his control and use of tone is what makes this composition. Well done, Aditya, this is a complex study that has been well observed and captured.